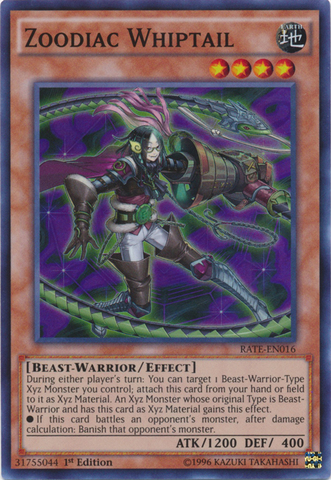 Card Text: During either player's turn: You can target 1 Beast-Warrior-Type Xyz Monster you control; attach this card from your hand or field to it as Xyz Material. An Xyz Monster whose original Type is Beast-Warrior and has this card as Xyz Material gains this effect. If this card battles an opponent's monster, after damage calculation: Banish that opponent's monster.